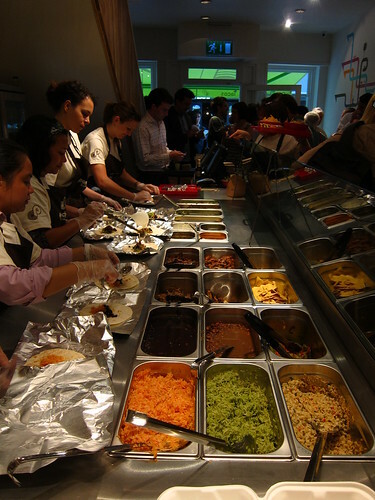 What this part of town doesn’t really need is another shop selling burritos. Within 5 minutes stroll of my office there are four alone, with Mas Burritos and Chipotle the poorest (in my opinion), the burrito man on Earlham street which is untested, and my burrito peddler of choice, Benitos Hat on New Row. 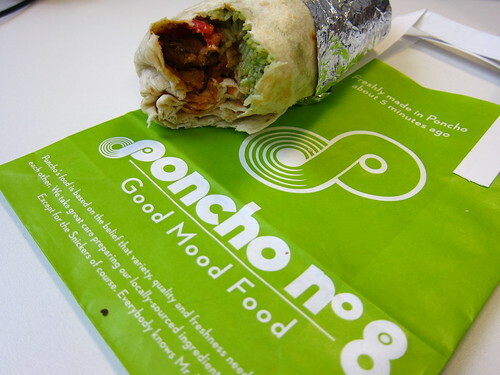 The introduction of the new Poncho Number 8 to the area is aggressive, but so has been their growth in the last two years, with this Soho branch number 3 in the chain. I met Nick, one of the guys running the place, purely by chance nearly two years ago. At the Secret Larder, we sat next to each other and chatted about food and the plans for Poncho No 8, and it’s pretty amazing what has happened to these guys since that dinner. Hopping along to the opening night of the new place, I drank beer, frozen margaritas and tried out a few of their mini burritos (essentially a rolled up taco), all very enjoyable but not really enough to judge whether this will be my new lunchtime go to burrito place. After a while, I couldn’t move inside any more as it filled up with the masses of invitees, so I left intent to return to give it a proper workout. So return I did. I guess I was a bit keen, as I went back the very next day, but with a 50% offer on for their opening day, how could I resist? Prices seemed relatively high, with a grilled chicken burrito (and a dollop of guacamole) coming to £7 (without the discount). So, in comparison to Benitos Hat, it is slightly more expensive (where BH is 50p cheaper for the equivalent burrito), but I guess that will be the Old Compton Street real estate prices. Taste wise, very good. I was very pleased with the grilled steak the night before in the mini burritos, and my full size grilled chicken was also pretty good, packed with veg (as requested instead of beans), meat and the added guac. 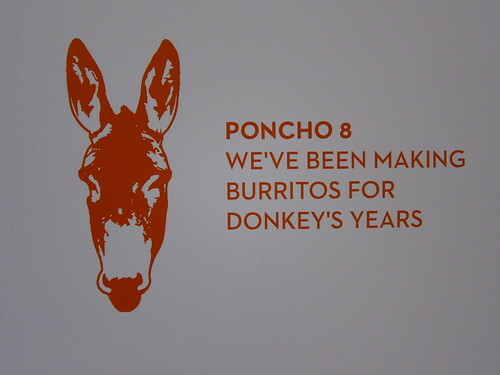 I liked the burrito and I liked the people, and I am sure it will feature on my list of growing lunch locations. At this rate, it won't be long until there's a Poncho Number 8 Number 4. Ah, sad. There are a few other branches open though. One near St Pauls and one in Spitalfields.